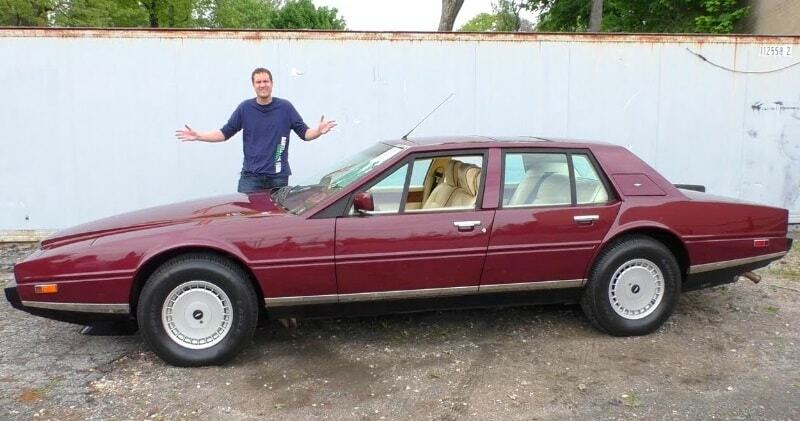 The Aston Martin Lagonda is the weirdest luxury car ever made. Today I’m reviewing a 1987 Lagonda, and I’m going to show you why this $370,000 luxury car is so bizarre and unusual — and why the Lagonda is one of my favorite cars. The Aston Martin Lagonda is a luxury four-door saloon which was built by Aston Martin of Newport Pagnell, England, between 1974 and 1990. A total of 645 were produced. The name was derived from the Lagonda marque that Aston Martin had purchased in 1947. There are two distinct versions, the original, short lived 1974 design based on the Aston Martin V8 and the wedge-shaped Series 2 model introduced in 1976. Aston Martin Lagonda is powered by an all alloy dohc 5.4 liter V8 developing 305 bhp 5500 rpm and 288 lb. ft. of torque 5500 rpm, 6.5 seconds 0-60 with a top speed of 150 mph.